Surely after reading the title of this thread, your first thoughts would be, "What? This can't be true, it's obvious clickbait." 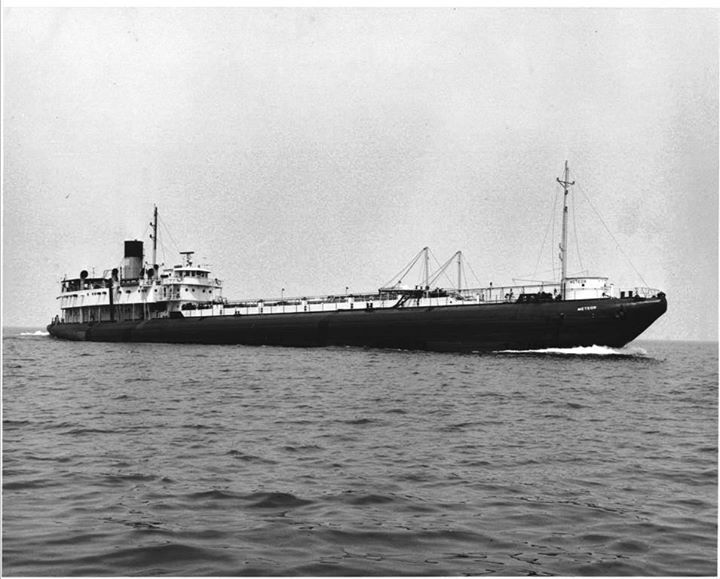 The SS City of Everett was a unique cargo steamship of the whaleback design, which incorporated a continuously-curving hull nearly all the way to the top of the deck. The thinking behind this was that waves would simply roll right over the ship instead of impacting it directly side-on, thus making them better in storms, and their oddly-shaped bows would help them handle better while being towed as barges, which was their main intention. However, there grew to be quite a number whalebacks that were self-powered, usually with their engines and superstructure at the rear of the ship. The unique design and the resemblance of their bows to a pig's snout gained them the nickname of "pigboats." Now, to meet the star of our story today; the whaleback City of Everett. The small, 346 ft (105 m) ship was built in 1894 in the city of Everett, Washington, and was to be the only whaleback built there. This ship went on to be quite important, being the first US steamship to transit the Suez Canal and to circumnavigate the globe. Her storied history includes a near-career ending explosion, a collision that resulted in the sinking of another vessel, and a frustrating connection with the sinking of the great ocean liner RMS Republic, all before finally foundering in the Gulf of Mexico in 1923. But, I'm not here today to talk to you about any of those incidents. I'm here to tell you of how a tiny, unarmed, cigar-shaped cargo ship managed to capture an entire city in Spain. As I'm sure many of you already know, in 1898 America went to war with Spain due to various reasons, the most important being the supposed sinking of the USS Maine in Havana Harbor by the Spanish. Now, this being the 19th century, communications were nowhere near as advanced as they are today, especially communication with ships at sea. This plays a crucial role in our story. Now, let's get on with the story itself. At the start of the war, the City of Everett found itself in the middle of the Atlantic Ocean, completely unaware of the developing conflict between the two nations. She continued on her voyage as if everything was normal, putting into the city of Malaga, Spain for freshwater and resupply. Almost as soon as they came into the harbor, a small launch was sighted heading towards the ship, requesting to come aboard. Still in the dark about the war, the crew happily obliged, and the occupants of the small boat, came aboard the ship. To the surprise of the crew, the men revealed themselves to be officials sent by the City of Malaga. And to the even bigger surprise of the American ship and her crew, the officials surrendered the city to the City of Everett, believing it to be a new and advanced warship of the United States Navy. The bewildered crew was initially confused as to what the men were even talking about, but after a briefing of the situation, eventually accepted the city's surrender. The tiny City of Everett, carrying no weapons whatsoever, with a crew of only 26, had managed to single-handedly capture a Spanish port-city of nearly 130,000 people. Yep, this thing right here. However, not wanting to cause too much of a stir and simply wanting to continue on their voyage, the crew of the City of Everett simply took the supplies that they came for, and left the harbor, putting it back into Spanish hands. Overall, this incident had very little effect on the war as a whole, or on the City of Everett, but it being a bit of a quirky and awkward moment in history, it's a story worth sharing. As for the City of Everett, she's now sitting under 400 ft of water approximately 120 nautical miles off the coast of Florida, with the 26 souls she took with her when she sank in 1923. The crew should have at least demanded all the liquor and women they could handle! Things did not go well for the Spanish in other locations either. Makes one wonder about the defense capabilities of the city (if any at the time?) as well as the state of moral/support for the war there. Looks a lot like the German merchant submarine. I can see why they thought it was a warship.